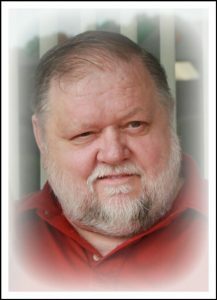 William “Buzz” Preston Pauley, 66 of Pilgrim, Kentucky passed away with friends and family by his side on July 28, 2017. He left this earth in the same way he lived with great perseverance and his usual humble grace. William was the son of Gertrude Harrison of Colorado and the late Clearance Pauley of West Virginia. William made a wonderful decision in 1972 and married the love of his life Joyce. William is preceded in death by his daughter, Sheryl Bridgette Younce, brothe…r Dale Wilson and father Clarence Pauley. Salyersville, Kentucky great granddaughters Madelynn and Macie McKenzie of Salyersville, Kentucky, sisters Lana and husband Bob Dimmit, Nina Morgan, and Regina Pauley, brothers, Deniel Wilson, Tommy Pauley, Ronnie Pauley, Shonny Pauley, Mitchel Pauley, and Lonnie Pauley along with countless family and friends. William worked many years in the mines in which he loved. He also loved racing cars of all forms but especially stock car racing and was fondly known as #21. His favorite moments were when his daughters held the checkered flag for the winners lap. He always had a passion for being outdoors and the hills of Eastern Kentucky. He arrived in these hills years ago and they became his home. In the words of James Still, “I shall not leave these prisoning hills…I cannot leave. I cannot go away. Being of these hills I cannot pass beyond.” He will always remain a part of these hills. share with the family. Join our family in celebrating our precious Buzz! We remember, “Life is what you celebrate. All of it. Even its end” Joanne Harris. Arrangements are by the Phelps & Son Funeral Home.